In this day of myriad software development companies vying and competing for projects, how does one walk through this jungle, find a way to navigate through it, and finally find a clearing? In this blog, we’ll provide a set of guidelines that will help act as a compass so that your business can move (and keep moving) North. We’ll give you an insider’s insight into the playing field of software developers, their claims and what those claims mean. Their promises and what that means for their delivery. The objective for these insights is to help you navigate, evaluate, assess, and ultimately weed out companies that will gradually waste away your time, effort and money. How Was Your Initial Consultation? You may find your company through a reference, online with a Google search, or by clicking an online ad (via Facebook or other social platforms). Once you find them, there will be an initial contact to set-up a time to have a discussion (either over a conference call, a video call, or face-to-face). This discussion will typically range from 15 to 30 minutes. The meeting might involve a sales or marketing person from the development team, along with a technical director or a manager. Here are a few questions that you can ask and answer for yourself as you reflect on the question: How was my initial consult? Was Scheduling the Initial Consultation Fairly Easy? How many layers of sales people did you have to talk to before you were able to talk to a technical director? The size of the software development company matters. 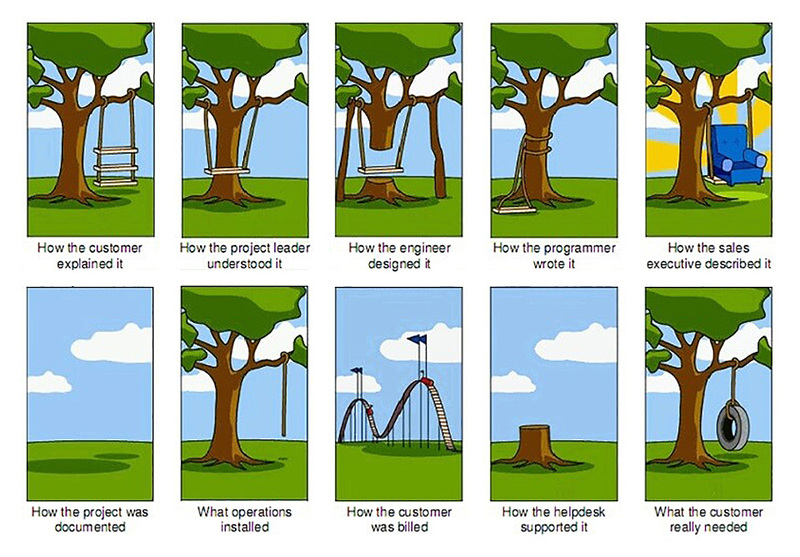 When you are dealing with a behemoth of a company, yes, they may have executed and delivered on many projects. However, with them, your project may not get the attention it needs. How Well Did the Technical Director Understand the Problem Definition? 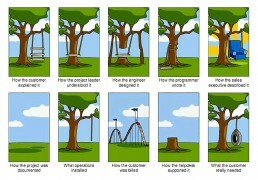 Did you feel that the development company were able to grasp the entirety and complexity of the project at hand? During the initial consult, a good technical director should be able to understand and point out the challenging parts of the project. They can typically drive the discussion in order to chart out a possible roadmap for your project, or at least work towards that. Before saying “we have done similar projects” and proposing solutions, they will listen carefully to what you have to say. How Was the Quality of Their Questions? Did they understand your business model? Were the questions geared towards understanding your tactical and strategic goals for your business? This is something that separates the good ones from bad. There are a lot of software development companies out there that approach software development as a “job” they are hired for and paid to do. The good ones will focus on the business outcomes that your custom software or app is meant to accomplish. This is also called an “ownership mentality”. They will advise and work with you as partners, not as a paid hand hired to do a job and charge you hourly for their time. What is Their Development Process and Delivery Model? A lot of buzz has been going around in the industry about “Agile” software development and being “disruptive”. Be wary of how these buzzwords are used in the conversation. Are they used as a tactic to sell? Or does the usage of those words fit with their delivery model? Agile, in plain terms, is about developing and releasing software incrementally and iteratively. When you develop and release in an Agile fashion the end product evolves (incrementally) through every release, adopting and embracing change faster. When software companies release new software versions at scheduled and agreed-upon intervals (typically between 2-3 weeks), it gives you the ability to iterate and perfect your app or custom software for the ultimate ‘Go Live’. 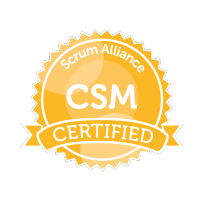 Software development companies may employ many industry-standard best practices like SCRUM, Kanban, Extreme/Pair programming to accomplish the incremental and iterative style of development. Disruptive is just another sales keyword if it is not used in the right sense. Disruptive practices are mostly about thinking ‘outside of the box’, not just in terms of the usage of technology but also in terms of constantly critiquing the status quo of the process to improvise. They constantly inspect and adapt their processes and resources. Ask – What Agile project management and execution does the company utilize across their organization? There are many that are recognized in the industry as leaders. They are Atlassian’s JIRA, Teamwork, Rally, Pivotal Tracker, and Asana to name a few. These tools do not guarantee success, but they can indicate that the company is at the very least thinking about following an Agile software development methodology. This may make or break the success of the engagement. When customers break up with vendor or consulting companies, it is often over the quality of the outcome or what the consulting company produced. How does one find out about the quality of the deliverable or the end product of a vendor? The first one is obviously to look at their previous work and evaluate the quality of the work more holistically. Quality should be for so many different parameters to recognize a company as producing something qualitative. It can be for UI/UX design, performance, software architecture, documentation, and code quality to name a few areas. For example, a product that has a very good-looking UI with a highly-interactive user experience and design may not necessarily have good optimal performance and a robust software architecture. A good vendor will be able to show and highlight their company’s quality on some of the parameters mentioned above. This is an often overlooked factor when engaging with a consulting company. When engineers or developers work on your application or software for your business, do you want them to work on it with passion? Or to work as if they’re only doing what they’re told or paid to do? Often times, companies that innovate have a great company culture that fosters such an environment, regardless of their location (onshore, offshore, near-shore). It is also very hard for consulting companies to employ talented engineers without a good culture. Some of the questions that you can ask are: What is the vacation policy? What kind of training do they provide for their team? Are they socially-minded? What is the level of direct interaction between you and developers? The answers to these (and other) questions will offer great insights into the quality of the company’s culture. If you’re reading this, then we probably haven’t had an initial consultation – though that’s certainly easy to fix. As for the rest of what we discussed above, you can get to know the quality of our successes, as well as our culture and values by visiting some other areas of our website. And, of course, you can always get to know us more directly and evaluate us for yourself. Maybe we’re the right fit for your next project!